Celebrate the museum’s new facility for research, education, and conservation. Remarks by Melinda Katz, Queens Borough President, Dr. Anne-Imelda Radice, Executive Director, American Folk Art Museum, and New York City Council Majority Leader Jimmy Van Bramer; live performance by La La Brooks, former original lead singer of The Crystals (“Da Doo Ron Ron” and “Then He Kissed Me”); and refreshments from local food vendors. Eclectic Encore Studios will open their doors for guided tours and photo booth fun throughout the event. Rain or shine. RSVP suggested; please e-mail rsvp@folkartmuseum.org. 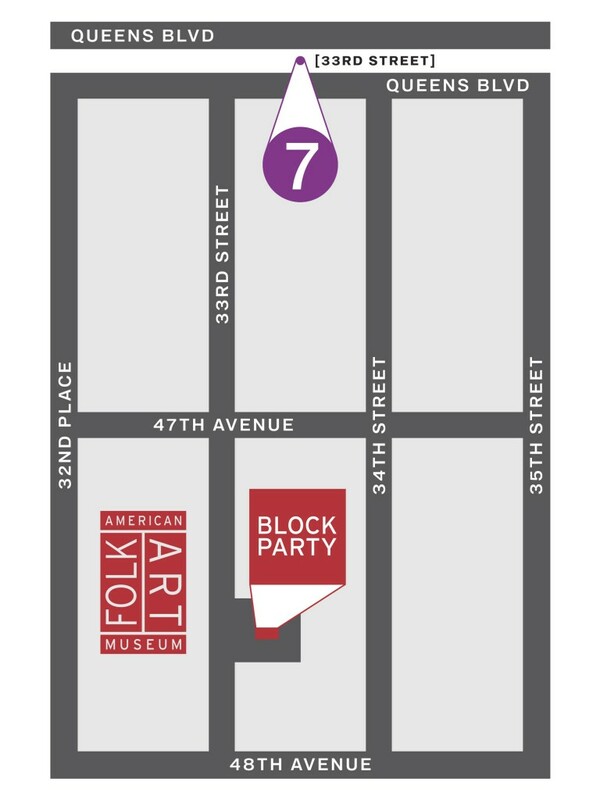 Followed by the Young Folk Warehouse Party—click here to purchase tickets. Image: Purvis Young (1943–2010), People Celebrating (detail), 1990s, mixed media on wood, 49 x 34 1/2 x 5 in., gift of Gordon W. Bailey, in honor of Anne-Imelda Radice, 2012.19.3. Photo by Adam Reich.